Greg Heuer conducting evaluator training for Woodwork Career Alliance. NELLYSFORD, Va. -- Greg Heuer retired recently, capping a 29-year career with the Architectural Woodwork Institute. Before that, Heuer ran an architectural woodwork shop in Chicago that had been started by his father. During his tenure at AWI, Heuer served numerous roles including education and membership. For 20 years he was especially instrumental in developing and updating the AWI’s Quality Standards. This is the definitive reference manual used by design professionals to more simply and clearly specify woodwork elements. Heuer’s involvement with the quality standards and professional woodworking background made him a perfect candidate to tackle one of the industry’s most long-standing and vexing challenges: crafting national skill standards that the North American schools and businesses could draw upon to teach and train students and professionals the skills required by industry to succeed. Last year the second edition of the WCA’s Woodworking Skill Standards was released. It covers more than 75 machines and 240 operations. The skill standards support the career growth of more than 1,300 Passport holders. The dedication and professionalism Heuer has brought to the Woodwork Career Alliance is duly noted by his colleagues. While Heuer is done with the AWI and he literally will be riding off into the sunset with his wife and fellow “amateur historian” Linda in their Airstream, he remains a volunteer of WCA. In fact, Heuer said he planned to meet with the director of career education in Texas on behalf of WCA during an excursion that would include stops at Sedona, Monument Valley and various museums in Phoenix and Tucson. Woodwork Career Alliance’s publication Pathways caught up with Heuer before he could hit the road to learn more about the WCA’s origins, mission and values as only he who has lived them could relate. What follows are excerpts from that interview. PATHWAYS: How did the WCA come to be and what was your involvement? HEUER: The interim step was the 20 years that I was editor of the AWI Quality Standards. At that time I got to meet Al Steele with the U.S. Forest Service. Al has been the WCA’s angel in the background for many years. He recruited me along with Dr. Fred Lamb of Virginia Tech to do a CD about primary wood processing and put together some learning modules. At the end of the CD project we started developing this concept of woodworking skill standards, which had been in the works and talked about for 30 years. Al came to me and said, “Would AWI be interested in putting in a bid to do these skill standards?” That led to a meeting on September 23, 2003 at the Wood Education Resource Center in Princeton, WV. AWI won the bid and worked with D.J. Case to develop a framework for national woodworking skill standards. Our report drafted in June 2006 laid the groundwork for creating the standards beginning in 2007 and AWI became the secretariat. We incorporated WCA in 2007 as a non-profit 501(c)(3) in Virginia. PATHWAYS: Why are the WCA and its skill standards important to the woodworking industry? HEUER: The key is the Passport, the portable personal credential. Many other industries, the National Institute of Metal, for example, have a skill standard. The automotive industry has a credential that an automotive mechanic can earn. The welding industry has a credential. The woodworking industry has never had a credential over and above union membership which at one time was quite a good credential if you were a member of the Brotherhood of Carpenters. Union training centers still form a vital link in the chain of woodwork training but the plants that don’t have access to unions and union training have been pretty much left out in the cold. In the early 1980s, the AWI established the Apprenticeship Standards and Curriculum. It was a wonderful curriculum filling two huge three-ring binders. The challenge with that curriculum for the average woodworking company is the standards were hard to separate from the actual teaching materials. The lessons were all based on John Feirer’s Cabinetmaking & Millwork, one of the best books for a woodworker ever published. Sadly the book has been out of print and is impractical to use as a basis for standards and training. So it was always difficult if not impossible for a woodwork firm to implement this apprenticeship program even though it was accredited by the U.S. Department of Labor. We had to come up with something that was more user-friendly if you will. In this world of digital we’ve been able to do that. I think we have met a need that has been recognized for many years and that independent portable credential allows a person to see a career path for the woodwork industry. PATHWAYS: Why was a wiki used to craft the skill standards? What was the first standard that to be developed? HEUER: We needed an inexpensive and practical way to collaborate with people all over North America. At that time, in November of 2007, there wasn’t much out there. Things that we use today like DropBox and Box were just beginning to be developed. Certainly there was no such thing as Google Docs. The kind of collaboration that is very easy now today was difficult in 2007. One way to do it was to have an editable website that everybody could go to. So I went to a one-week workshop in North Carolina to learn how to build wikis and collaborate online. I found Wikispaces would allow us to have a wiki at no cost because we were an educational non-profit. That was critical too because while there were many high-priced collaborative applications the major corporations were using, we didn’t have the funds to do something like that. When I set up our wiki website in November 2007 we had about 40 collaborators from coast to coast. The first document that we collaborated on was the table saw because it is such a basic tool. The format of the wiki has gone through three iterations. The first iteration was not well categorized and it took us several months if not more than a year to come up with a way to really make this thing work. Patrick Molzahn (Madison College) and Greg Larson (New England School of Architectural Woodworking) were very instrumental in helping get my thinking straight for the categories. 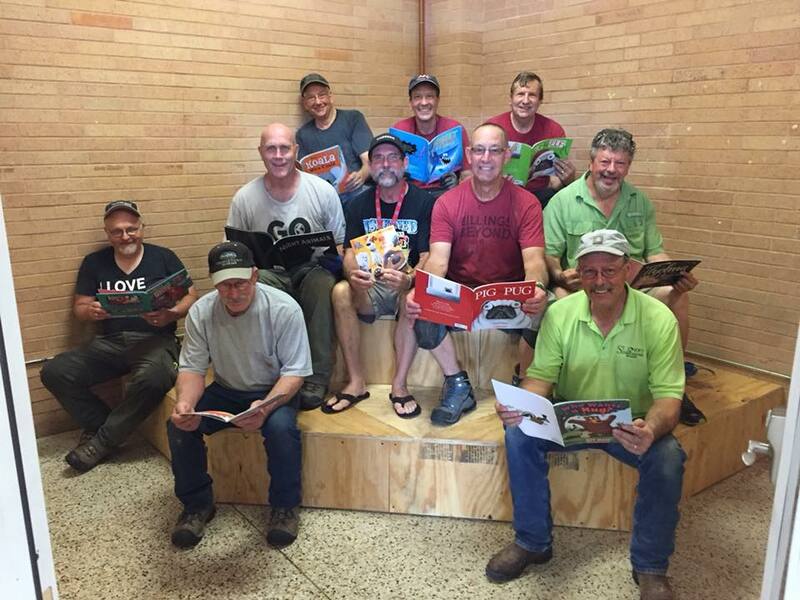 PATHWAYS: Do you find it ironic or even sad that so many woodworking executives say how hard it is to find and keep good workers yet seem reluctant to invest in training out of fear that their employees will go down the street for more money? HEUER: You have always heard that and it was probably heard since the days of Stradivarius. It’s absolutely true that if only one company trains people, then all of the other companies will recruit from them. However, if your place is the best place to work at in town, people will line up at your door to come and work. What makes your place the best place is not only having credentials but having a really good HR policy and a really good way to recognize an individual’s achievements. A key example of this is Jennifer Fraser up at Appalachian Engineered Flooring. The revolving door was going so fast that it was going to come off the hinges. People would stay for days and leave. And now she has settled that down with a three-pronged approach involving lean manufacturing, good HR and having a way to recognize, reward and celebrate achievement – the WCA Passport and Credential Program. What happens if you don’t train your people? You get what you’ve always got: mediocre workers. As Duane Griffiths of Stiles Education has often said, if you think it costs a lot to train your people what do you suppose it costs your business not to train them? 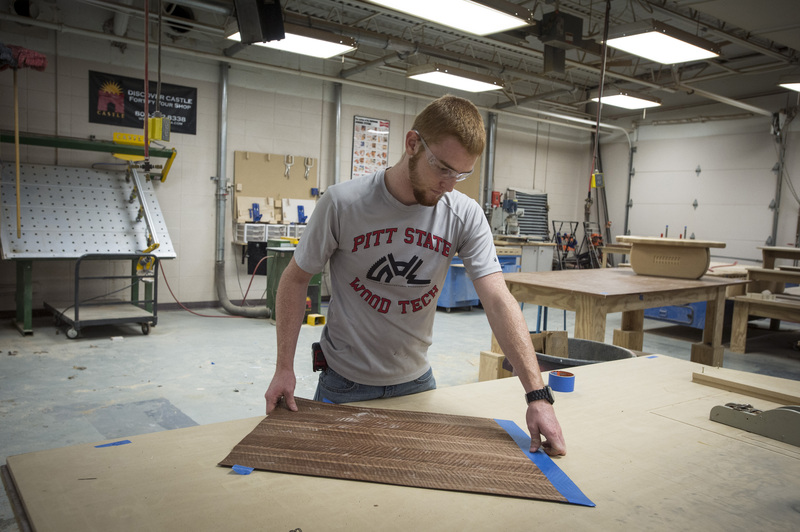 PATHWAYS: How do high school and postsecondary woodworking programs fit into the WCA programs? HEUER: I would hope that the existence of the WCA Credentials, the continuous publication of the standards and some sort of cooperative ventures between woodworking businesses and their local schools would keep those programs that are out there alive and well. It is unlikely that we are going to start any new woodworking programs unless there’s a real swing of the pendulum. We have to do everything we can to support those dedicated teachers who are out there now passing on our skills. That means when a really good dedicated teacher retires, then the next guy or gal who picks up that program has tools in place to work with and doesn’t have to invent the wheel again. If we can do that, then that program has a better chance of succeeding. One of our member schools resigned because the teacher who came in was essentially a carpenter and didn’t see the value of continuing teaching cabinetmaking or fine woodworking. I don’t take it personally but I do grieve a little when a program goes down where they had seats filled and they had the equipment. You know once a school gets rid of the equipment and replaces it with computer desks it is highly unlikely that they are ever going out to buy saws and jointers. PATHWAYS: What is your greatest hope for the WCA over the next few years? HEUER: As I look over the horizon and past my time with the organization, I’d like to see a wide acceptance of the standards and the evaluations as a standard operating procedure in the finest plants. It’s never going to be accepted by the guys who are running bad operations. And boy we’ve been in a few of those, too. You can just tell that they are there to exploit their workers. But in the finest plants, where they do adopt good HR and lean manufacturing and good recognition (of employee achievement) I would like to just see this as a normal part of their operation. To continue to let their people explore new things, learn new things and demonstrate expertise in new things and therefore be recognized. My son put his finger on it when he worked at a woodwork plant. He said, “The guys are always saying that no one recognizes what we do. The work goes out the back door, we never see it again and we don’t hear about it. We just go on to the next job; let’s sand 400 more boards.” They were looking for some form of recognition and I think that if our industry gets behind this concept of career path and recognition, that it becomes a standard operating procedure in every good plant then I will have met my legacy goal of leaving this for the industry. PATHWAYS: What are some of your more cherished memories working with WCA and seeing the progress that has taken place over the last 10 years? HEUER: Some of my fondest memories revolve around the times that we got together face to face, remarkably few though they have been. Much of this has been done in the virtual world. We really did have an exciting meeting in Asheville with everyone sitting around the table kicking around ideas; it really helped us focus our thinking. I can’t say enough what a great group of folks we have. Not only are they productive, intelligent and wonderful contributors but fun people to work with. Key contributors to the development of the Standards and the continued success of WCA include Scott Nelson, Duane Griffiths, Glenn Wirgau, Brian Bond, Bill Geyer, Kent Gilchrist, Greg Larson, Mick McGowan, and Patrick Molzahn. PATHWAYS: You are officially retired from AWI but continue to volunteer your time for WCA, why? HEUER: I have a passion to pass on these skills and the joy of making something to the next generation. I’m committed to this industry. I grew up next to my dad on the bench. I would love to see a few folks continue this trade because if they don’t, we’re going to have a very difficult time in North America coming up with fine furniture and fine woodwork. I imagine that the same discussion is place in Germany, England, Ireland, France and elsewhere. There is a particular problem in the States of disrespecting the crafts and that’s why I’m going to stay involved with WCA and SkillsUSA for as long as I can and for as long as they’ll have me. I think those are two of the best organizations on the planet. See http://woodworkcareer.org/ for more information on WCA.